A common issue that many people have but few like to discuss is body odor. Whether it is bad breath, stinky feet, or an all-over unsavory aroma, it can be quite embarrassing and uncomfortable. In attempting to deal with this problem, we often chew gum laden with dangerous artificial sweeteners, or slather on chemical-laden deodorants and foot deodorizing sprays. However, the root problem behind foul body odors is often found in what we eat. Processed foods, besides being all-around dangerous to your health, are notorious for causing body odor. The body has a very hard time detoxifying all of the chemicals and preservatives found in these foods, and this can lead to digestive irritation and funky smells. Consuming excess alcohol, or a lot of red meat, may also lead to odor leaching from your pores. Not drinking enough water is another common culprit. If you are dehydrated, the body cannot get rid of toxins effectively. For this reason, at least eight glasses of water per day is key. The key to smelling as fresh as can be is to eat a diet rich in plant foods, including a rainbow of fruits and vegetables. Many fruits and vegetables are high in fiber and antioxidants, and support the healthy detoxification of the body, so that there are no (or minimal) smelly toxins struggling to escape through your skin. While eating chia seeds will not automatically nix body odor, consuming them on a regular basis may help a lot. These seeds are rich in fiber, which flushes the digestive system of built-up toxins. One type of fiber contained in these seeds is mucilage, which may help soothe a number of digestive disorders that may be contributing to body odor. Chia seeds are also high in heart and brain-healthy omega-3 fatty acids, and are a good source of protein and calcium. Eating parsley either after meals, or as part of your meals, can help to battle mouth odors. This herb is high in chlorophyll, which aids in alkalizing the body, and can neutralize strong smells. 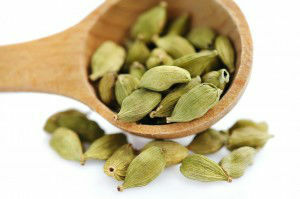 Chewing on cardamom seeds is widely known in the Eastern parts of the world to get rid of stinky breath. 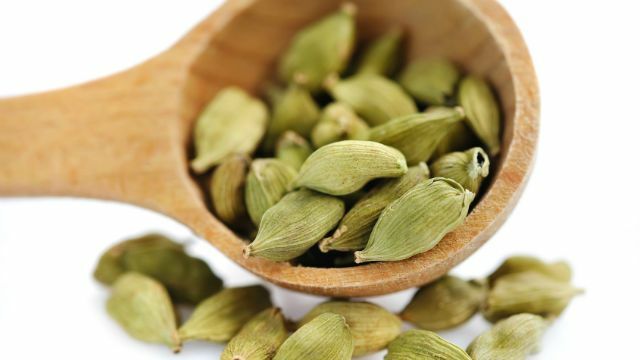 In South Africa, these seeds are also used to combat tooth and gum disease. While it may seem counterintuitive, some research indicates that coffee can actually stunt the growth of bacteria that leads to bad breath. If your breath smells bad after a cup of coffee, it may be more what you put in your coffee than the coffee itself causing the odor – or not drinking enough water to balance out its diuretic effects. To neutralize foot odor, simply soak your feet in a basin filled with brewed black tea for about 15 minutes once or twice a day. Compounds in the tea leaves help to remove the odor. Rinse with water afterward to prevent skin staining. If you are eating a nutritious diet and avoiding processed foods and sugars, have tried the above-listed tips, and are still battling unpleasant body smells, it may be time to see a health professional of your choice to determine if there is an underlying condition contributing to the problem. Hey Buddy!, I found this information for you: "Foods that Combat Body Odor". Here is the website link: https://www.thealternativedaily.com/foods-combat-body-odor/. Thank you.